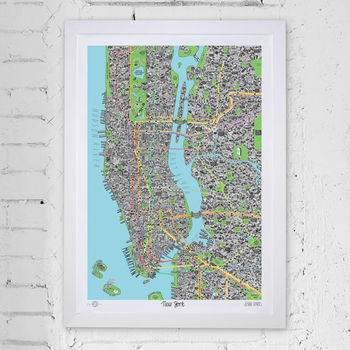 Hand-drawn map of New York by Jenni Sparks. Jenni Sparks has collaborated with evermade to create this definitive guide to New York City. 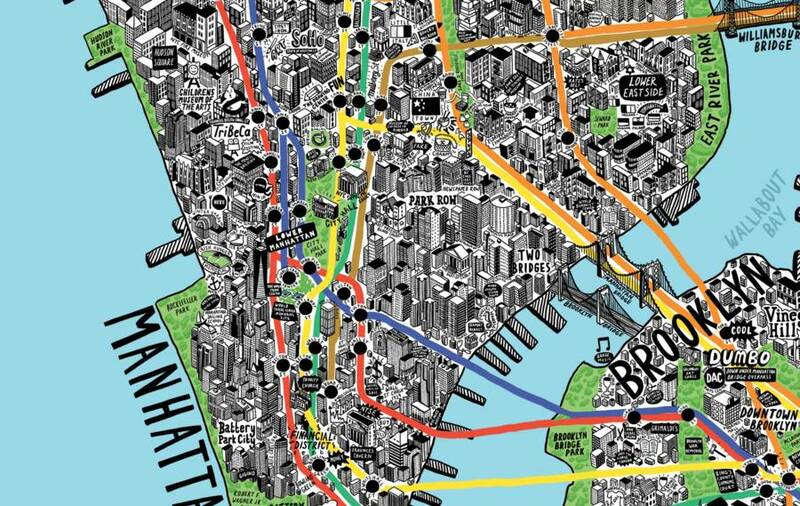 This intricately-designed, hand-drawn map of New York is no ordinary city-map. Created by the wonderful illustrator Jenni Sparks, this map charters unofficial territories alongside well-known ones, delving deep into the New York landscape. 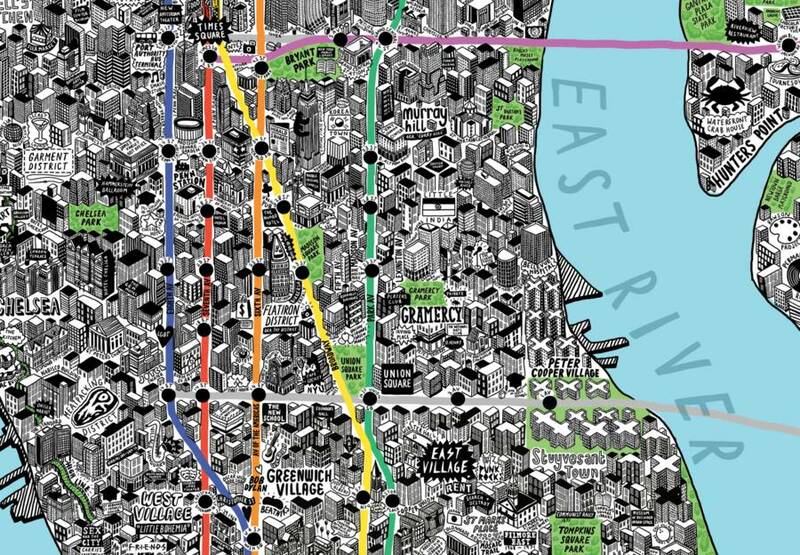 This intricately-designed, hand-drawn map of New York is no ordinary city-map. Created by the wonderful illustrator Jenni Sparks, this map charters unofficial territories alongside well-known ones, delving deep into the New York landscape. Produced with a great deal of love and care, this makes for a unique piece of wall art for travellers and New Yorkers alike. 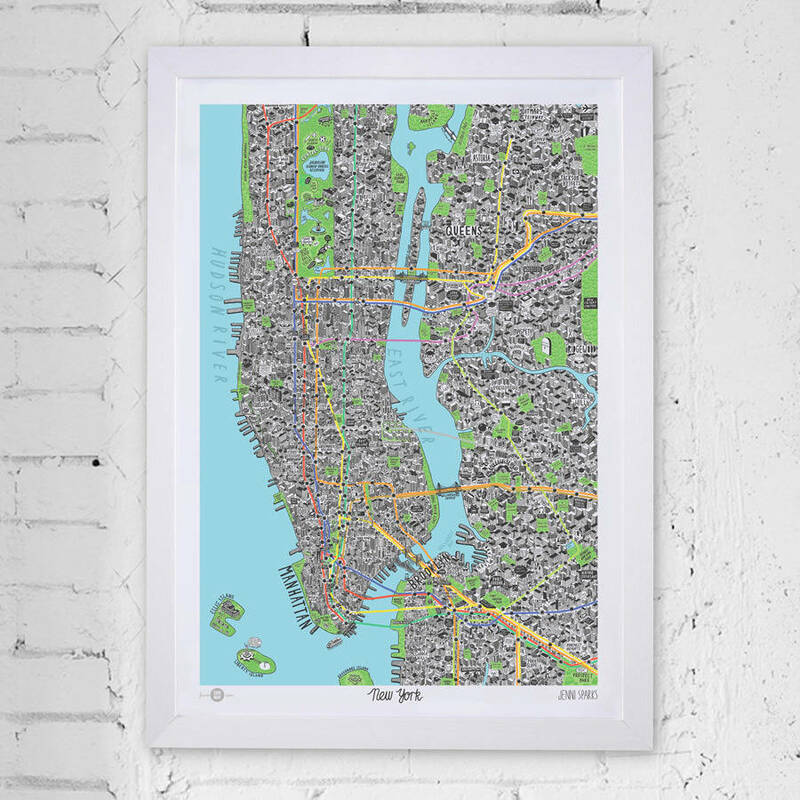 See if you can find your area on thereThe print mainly focuses on the Manhattan area as well as parts of the surrounding districts such as Queens and Brooklyn. It took Jenni Sparks months to create the map, comprising of hundreds of meticulous illustrations representing buildings, hidden gems, fun facts and more.